The Best and Most established Beerline Conditioner System there is! For the system to function correctly, it is essential to carry out a thorough line clean and use a brewery recommended cleaner. 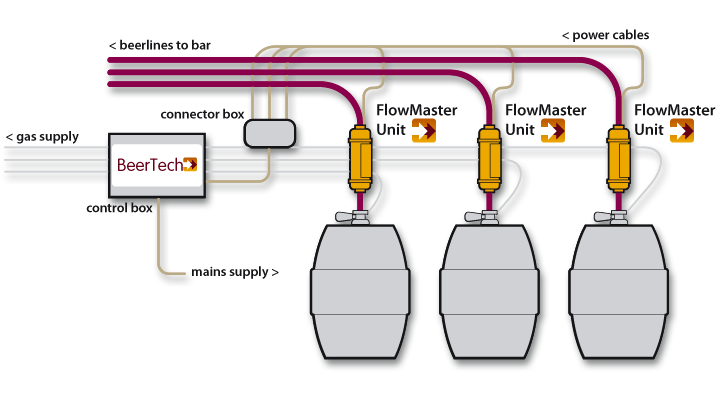 As you can see from the illustration below, the BeerTech unit is fitted around the beerline. A control box sends a series of signals down to the unit attached just above the broach head. This generates a complex magnetic field that the beer passes through as it leaves the keg. Our rental packages offer a flexible, cost-effective way for you to benefit from our FlowMaster system. One unit required per line. Rental cost is per pub – NOT per line. The system comes with a 12 month warranty. After the first year we offer a maintenance contract costing £70 per year covering all parts and labour. If you wish to purchase our FlowMaster system, why not rent for 3 months using our rental option. If you then choose to purchase our system, all monies paid to date will be deducted from the purchase price. 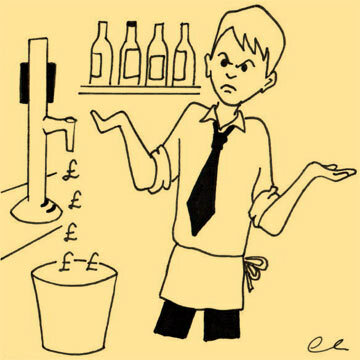 Our system simply delays the furring up process within the beer line – it does not stop it. However, you will with quality line cleaning, using a brewery recommended cleaner, achieve a three week cycle quite comfortably. Extra sales are achieved by cleaning on a three week cycle and naturally selling the beer that is normally wasted – It’s that simple!! This translates to selling the extra beer for at least 35 weeks, although some pubs opt for longer in their cycles, we strongly recommend a three week period to ensure that the beer quality is maintained. Basically by delaying deposits, line cleaning becomes much easier, and furthermore, will soften, and over a short time break up any old stubborn bio-film. This improves the internal surface of the line giving a better chance to deliver the beer in the condition it left the keg. By cleaning on a three week cycle, naturally you will save time, freeing up yourself and staff for other duties. 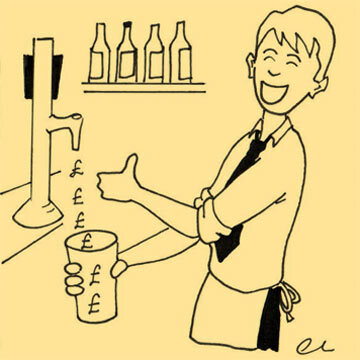 Tom, a publican from Derby has a 26 pint loss; Beerline cleans every week and wastes 1,352 pints down the drain. 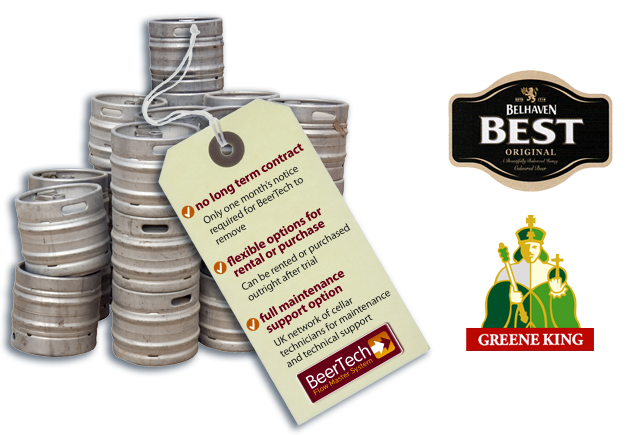 Alan, a publican from Swindon also has a 26 pint loss at Beerline clean, but having the BeerTech system, not only improves the quality of his beer, but now cleans on a 3 weekly cycle and sells an extra 910 pints to sell per year.